Storytelling has existed for centuries, but modern storytelling, like the stories we see in television commercials, was born in the early 1940s. The first paid ad to air on American television was a 10 second spot purchased by Bulova, a watch- and jewelry-making company. The first commercial was short, shaky and it didn’t reach many viewers. Today, television advertising is a healthy business and it seems to be resistant to the ever-growing amount of online advertising. eMarketer predicts that television ad spending will increase to $75 million by 2017. But what makes a commercial memorable? According to Market Share, people cited humor as the number-one factor that makes a commercial memorable. Others remembered the product tagline or company jingle — there are some jingles that we can never forget, no matter how hard we try, like the Kit Kat or Meow Mix jingles. Some people even remember commercials because of the iconic characters, for example, Flo from Progressive and the Oscar Mayer Kid. Effective TV advertising comes down to satisfying the viewer’s needs; whether it’s rational, emotional or both. Brands take different approaches when they’re creating commercials. Apple, for example, makes its messages as clean and simple as possible. Apple ads typically feature a lineup of the newest products and devices but the ads also play to the emotions of the consumer. A 60-second iPhone 5 ad featured iPhone users face timing their loved ones and families. The message is extremely simple and it’s easy to understand. Other brands, like Budwiser, use experiences, sometimes featuring adorable puppies, which trigger our emotions. The types of commercials that appeal to our emotions are saved in our memory for long periods of time just because we had an emotional response. Advertisers play to our eight basic emotions: joy, anticipation, surprise, fear, acceptance, anger, disgust and sadness. Ads with the most success appeal to all eight emotions. The higher the degree of emotion featured in an ad, the longer lasting the memory of the commercial. No matter how emotional the story, television ads, and ads in general, always have a call to action (CTA). The CTA typically appears at the end of the ad. The CTA has evolved from a company’s address or location, to phone number and contact information, to today, in the form of hashtags. Have you noticed that dozens of brand include the company name or fun slogan in a hashtag during the final seconds of the commercial? That’s the call to action. It's natural, it's relevant and it works. 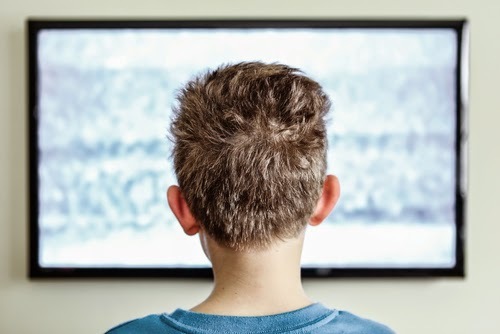 If you want to learn more about the advertising that you’re consuming while you’re watching your favorite television shows, do a little research online. iSpot, a real-time TV advertising metrics resource, measures paid ad effectiveness and lists the most-viewed commercials on its website. The website also offers users the opportunity to “thumbs up” or “thumbs down” commercials and offers social sharing so users can share their favorite commercials with their social networks. There’s a wide range of companies featured on the iSpot website, from identity theft protection service LifeLock to Adobe Photoshop. Each company has its own “profile” which displays metrics including airing rank, number of spots, national airing and more. This is an awesome piece. As a jingle company, we wish everyone knew about the power of music in ads!